Popular Android News and Magazine App, Pocket updates their Android app on Google App store today. The version number is now 5.1. Pocket is a very useful app to read interesting articles later at a free time. Read the details in official press release. We are always pushing new ways to improve and simplify the Pocket experience. Today, we have a special Android release that makes saving to Pocket as fun as consuming the things you saved. When you save something to Pocket, the new Quick Save Actions will appear in the bottom of your screen giving you the ability to immediately tag the item, share it with a friend, or head right into Pocket itself. And if all you want to do is save something to Pocket, no other actions needed, Quick Save Actions will get out of your way. It will either disappear after a few seconds, or will be gone the moment you touch anywhere else on your screen. Though, who wouldn’t want to share photos of some adorable sleeping pups? 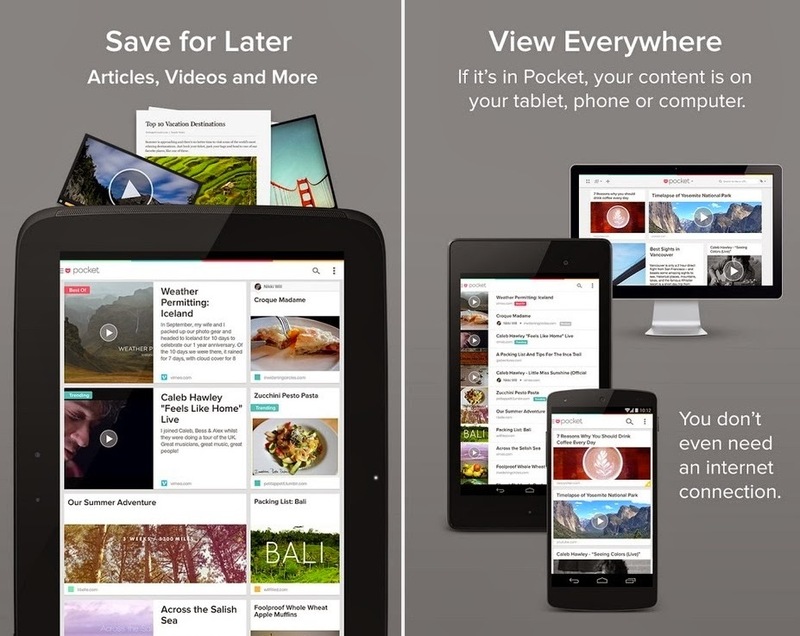 Also included in Pocket 5.1 for Android is an improved video experience and some minor bug fixes.